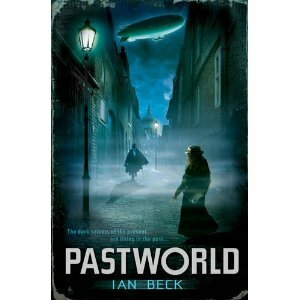 Pastworld is a theme park designed to look exactly like 1880’s London. In this historically accurate world, anyone who comes to visit must abide by the dress, laws, language, and even technology found at this time. Some people were born in Pastworld and do not realize it is merely a tourist attraction utilized mainly by the wealthy. Others, like Caleb, travel to the old London in order to see what life was like back then. The problem is that crime definitely existed in the 1880s and has crept up again in this new city. Law officials are forbidden from using any technology not found during the 1880s to solve crimes. When a Jack the Ripper type serial killer starts killing innocent people there seems to be no way of stopping him. Meanwhile, Caleb is blamed for a crime he did not commit and must go on the run or risk spending the rest of his life in a historically accurate prison with an archaic judicial system. The idea behind this story is very intriguing and sets itself up with lots of details and interesting characters. The Fantom, or serial killer, is an interesting idea but the character ends the story feeling unfinished and undeveloped. Readers who enjoy fantasy or historical fiction will enjoy the idea of this interesting tourist attraction, but may find the ending a bit abrupt and unsatisfying. Great book review! Much better than mine. 🙂 Did you like the middle of the book when Eve wanders around or were you a bit bored like me? I find the Fantom a bit too… unrealistic if you ask me. Actually, the whole book is a bit unrealistic for me. What do you think? I thought the book was very interesting. A few parts were maybe a bit slow, but I feel like you have to just accept the possibility of a world like this in order to really enjoy the story.